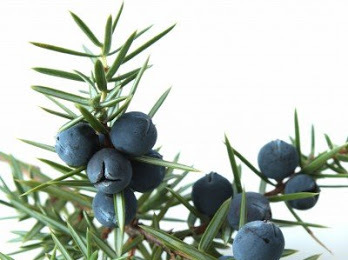 The long history of this coniferous tree includes versatile uses and benefits of the juniper berry. Applied internally and externally, juniper berry is a natural cleanser, which aid urinary and kidney function, while also promoting healthy skin. When diffused, the distinct spicy, woodsy aroma provides a refreshing and calming effect, which alleviates stress and tension; it can also help purify and cleanse the air in this way. To reduce skin sensitivity, dilute juniper berry essential oil with Fractionated Coconut Oil. Juniper berry essential oil should be kept out of reach of small children. If receiving medical attention or are pregnant or breastfeeding, always consult with your physician before using essential oils. If you have sensitive skin, dilute heavily. Sensitive areas, ears, and eyes should be avoided when using this oil.